After McQuede is jilted at the altar by his long-time girlfriend, Dawson convinces him that a relaxing river rafting trip is just what he needs to get over his heartache. Unknown to Dawson, McQuede has also come along to investigate the disappearance of a young man who has recently vanished from the lodge. Andy Norton may be perpetuating one of his notorious hoaxes or he may be in serious danger. Dawson also has a secret motive for the trip. He is searching for a rare Native American Sheepeater camp, a project that draws Loris and her boss and rival, Arden Reed, to the scene. Surrounded by colorful characters and intrigue, McQuede finds himself in a race to save valuable artifacts and to find out what happened to Andy. 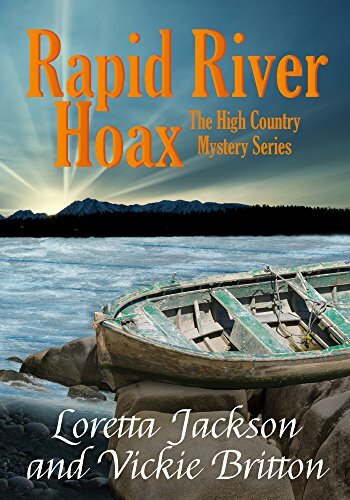 RAPID RIVER HOAX is the eighth book in the Jeff McQuede High Country Mystery Series. Each book in the series contains a complete story and can be read as a stand-alone.